David (David Schachter), a naive graduate student, has volunteered to work as a 'buddy' for people dying of AIDS. Assigned to the intensely political Robert (Geoff Edholm), a lifelong activist whose friends and family have abandoned him following his diagnosis, the two men, each with notably different world views, soon discover common bonds, as David's inner activist awakens and Robert's need for emotional release is fulfilled. 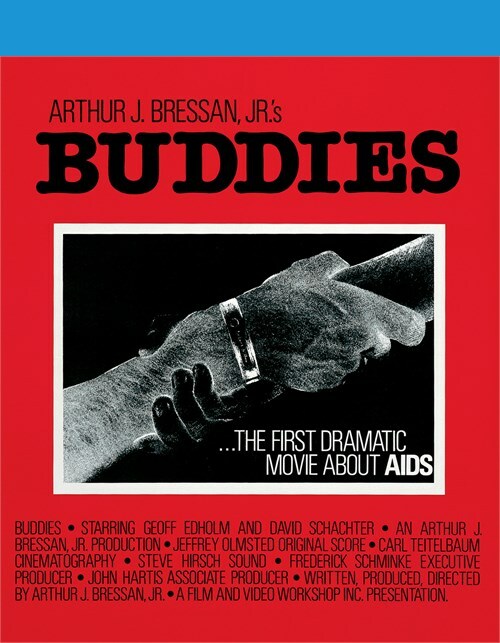 The first narrative feature film made about AIDS, acclaimed independent filmmaker Arthur J. Bressan Jr's Buddies is an intensely personal study of love, death, and the need for activism during the earliest years of the AIDS crisis. Guaranteed to ship today if ordered within the next 4 hours and 58 minutes. 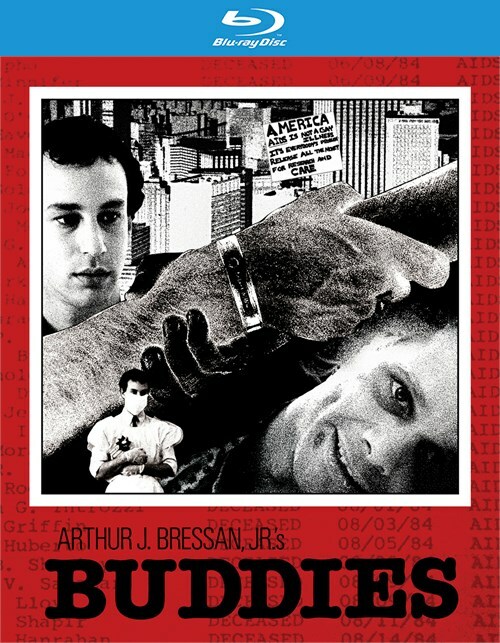 "Nearly impossible to see following its brief theatrical release and never officially released on home video, 'Buddies' is finally making its home video debut, newly restored from its long lost 16mm negative, courtesy of Vinegar Syndrome.
" Available in a Blu-ray/DVD Combo Pack, the special features include interviews, original trailer, production photos and articles. Don't miss this landmark film or the story behind it. Director: Arthur J. Bressan, Jr.